This final boss battle of Star Fox Adventures is a mighty disappointment, but to be fair, it was caused by Rare being bought by Microsoft. 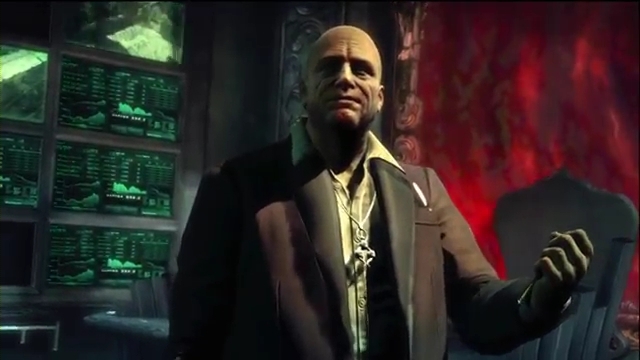 After all, the game released on the eve of the buyout announcement. 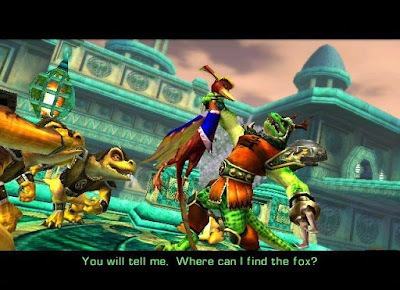 Thus, the ending of Star Fox Adventures is admittedly rushed. You have General Scales, a villain who is supposed to be the ultimate threat to the dinosaur planet, and he's built up as the scariest enemy of all. 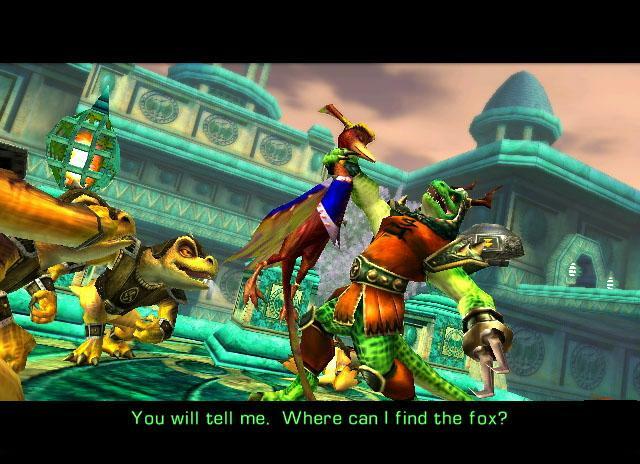 Fox even faces his fear, which is General Scales, in a special test earlier within the game. However, when the actual battle with the real General Scales takes place, instead of fighting him, he's unceremoniously killed off, and thus, the final battle is a shoe-horned encounter with Andross out of nowhere. While Andross himself plays similarly to his Star Fox 64 encounter, the battle itself isn't too horrible, but it treads so much familiar ground. It utilizes the rarely used Arwing instead of what players are most likely used to, the on-foot controls and battle scheme of the game. It's just amazingly and astonishingly disappointing that after all of the build up that General Scales would be the main big bad, he's just tossed aside for Andross. 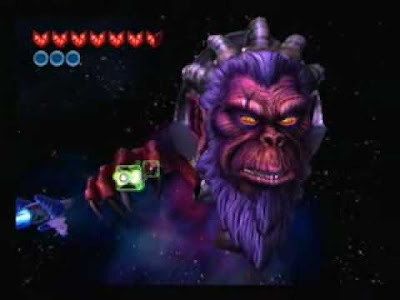 For these reasons, Andross, the final boss of Star Fox Adventures for the GameCube is my choice for a bad boss battle. 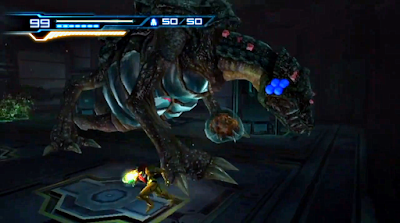 This boss battle in the Metroid: Other M is hindered by the mandatory need to switch between third-person view and first-person aiming. It all adds up to a battle that is more annoying than challenging. The Queen Metroid is unleashed onto Samus Aran due to a misunderstanding between her and a survivor on the Bottleship. However, this misunderstanding could prove to be fatal for Ms. Aran. The initial part of the battle revolves around dodging and freezing Metroids that are summoned by the Queen Metroid. When they are frozen, the player must somehow get into a position where they can enter first-person mode, aim at the frozen Metroids, and destroy them with a missile or two. That's pretty hard for the wrong reasons when you have a ravaging Queen Metroid to contend with. This shows some of the problems with assigning the first-person viewpoint to holding out the Wii Remote and pointing it at the screen. After the Metroids have been dealt with, the Queen Metroid charges at Samus repeatedly as well as blasts streams of fire from its gaping mouth. During the moments after, the player can enter first-person mode and aim at the crystalline shards on top of its neck to weaken it. Weaken it enough and the final chance to destroy the beast will occur. It will open its mouth, resulting in Samus entering it so she can drop a final Power Bomb to obliterate it from the inside out. The battle wouldn't be so bad if the switching between third-person and first-person views didn't slow down the opportunities to attack so much. 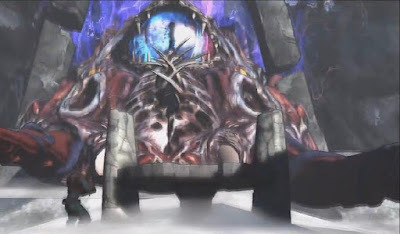 I usually didn't have a problem between switching perspectives throughout the game, but with the Queen Metroid final fight of Metroid: Other M, it was indeed a problem. Whether you like the Ninja Theory's reboot of Devil may Cry or find it to be reprehensible garbage (or of course, somewhere in between, so we don't go to extremes here), the game had some truly fun and engaging boss battles. The battle with Mundas was not one of these. Throughout the game, Mundas talks a big game about being some masterful evil that you should fear or at least have a shred of respect for. However, you'll release with this boss battle that all of Mundas's talk is just that-- talk. The battle itself has Mundas using a plethora of recycled moves from a boss previously defeated by Dante. There are similarities as well to a certain fight with a certain agent from a certain movie series called The Matrix, but this simply feels like a bad bootleg version of that. It all ends up to being a disappointing battle that screams untapped potential. Borderlands managed to impress players with its myriad RPG elements, lovely cel-shaded art style, clever humor, and immense quantities of loot. The online multiplayer for up to four players offered even more good times with a group of friends or total strangers. That's why after putting two days' worth of time into the campaign of Borderlands that the final encounter with The Destroyer is a huge disappointment. Calling it challenging is an insult to many of the other bosses before it. What does this battle include basically? It requires player to hide behind a rock for the few times that the boss has any sort of sense of difficulty in its attack pattern via band of tentacles. Then you can stick your head out and fire rounds upon rounds into its obvious weak points. They couldn't be any more obvious unless they had Las Vegas styled neon arrows pointing to them. Not only this, but each weak point is very much well exposed, so it's pretty much hard to miss unless you're aiming in the opposite direction. This final boss also doesn't move much at all, making for an underwhelming end battle after earning and equipping high powered loot for what was supposed to be a climactic last encounter in Borderlands. Disappointing doesn't cover it entirely. 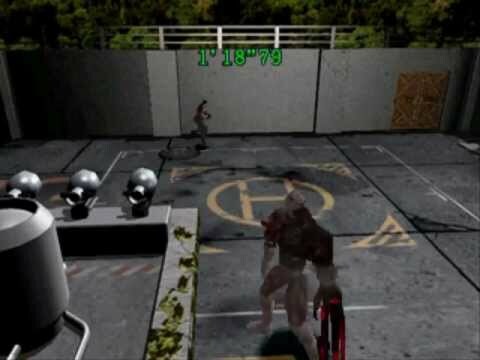 With Halloween fast approaching, it seems like an opportune time to mention one of the originators of the survival horror gaming genre, Resident Evil. However, here, the main horror isn't a giant spider or one of those dogs that unexpectedly crashes through a hallway window. No, instead it's a pretty lame final boss confrontation with the Tyrant monster, a thorn (or is it claw?) in the sides of players throughout Resident Evil. Everything leading up to the battle is pretty intense. You're with the final living members of the S.T.A.R.S. team ascending ladders and elevators to the roof of the Spencer Mansion. A bomb is set to annihilate the entire mansion and its supply of deadly bioweapon monsters. What is the final battle, you ask? It's an awkward encounter with the Tyrant monster, where you're at the mercy of both tank controls and strange shifting camera angles. Good luck successfully dodging all of the Tyrant's claw advances, as the camera will usually get you caught on geometry, running the wrong way (usually into the Tyrant's lunging attacks), and you just have to attempt to run in circles to avoid the beast's assaults. The final phase of this game of Tyrant-and-mouse has the pilot of the helicopter dropping an RPG into the center of the arena. All it takes is firing the RPG in the Tyrant's general direction to defeat it, having the monster explode in a huge blaze. To me, it's an underwhelming end to a great survival horror classic.